It has been said the 1031 Exchange could be applied to up to 64% of all Real Estate closing, yet almost 100 years after the process was started many investors still do not know of this powerful wealth building tool! 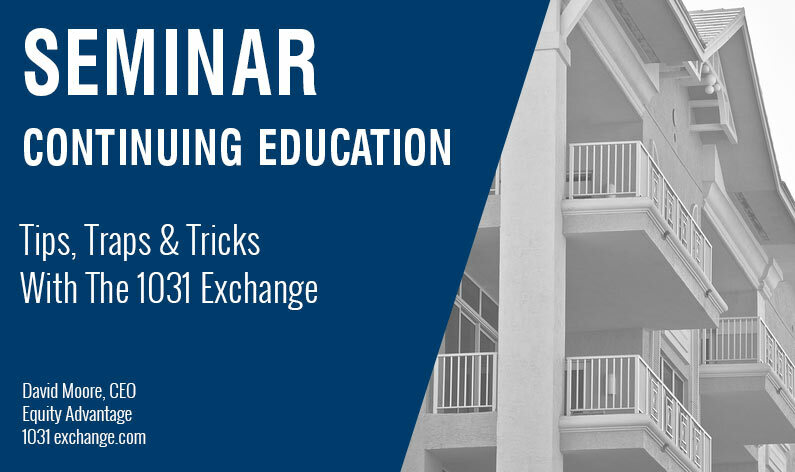 This class will teach you the tricks on how to stay out of 1031 Exchange traps and more. Come earn two Credit Hours of Real Estate while learning how to better use the 1031 Exchange process! 2 hour class: Plan to attend Thursday January 24th, 2019 9:30 – 11:30 am Register at 503-619-0223.